This was an inevitable Untappd Catchup. With Christmas and then preparing for a big work trip to Adelaide I was never going to have time to keep on top of all of these Untappd badges.I didn't think there'd be 12 (yes twelve!) badges between Christmas Day and now. The second beer to earn me a badge on Christmas Day was Ska Brewing's Modus Hoperandi. It earned me New Brew Thursday (Level 11) - possibly the most confusing badge on Untappd. The beer was a lovely example of an American IPA with earthiness combining well with piney hops. Many more beers and a lot of red wine was under went under the bridge before Land of the Free (Level 27) came around. The beer was Golden Road's Back Home Gingerbread Stout, which I thought was suitably Christmassy - and incidentally matched very well with Christmas Pudding! I really enjoyed this beer - it was a big Russian Imperial Stout which smelt exactly like Gingerbread! The Gingerbread aroma didn't translate as well to the flavour but there certainly was a nice collection of spices to taste. Crisp as Day (Level 9) went to a German Pilsner from Samoa; Vailima. It's actually their national lager and considering it's a relatively small group of islands in the middle of the Pacific Ocean it's a pretty good beer. The main take away point is that there is no sweetness at all and the hops provide just enough bitterness. If you want to read more about Vailima follow this link to my full review. 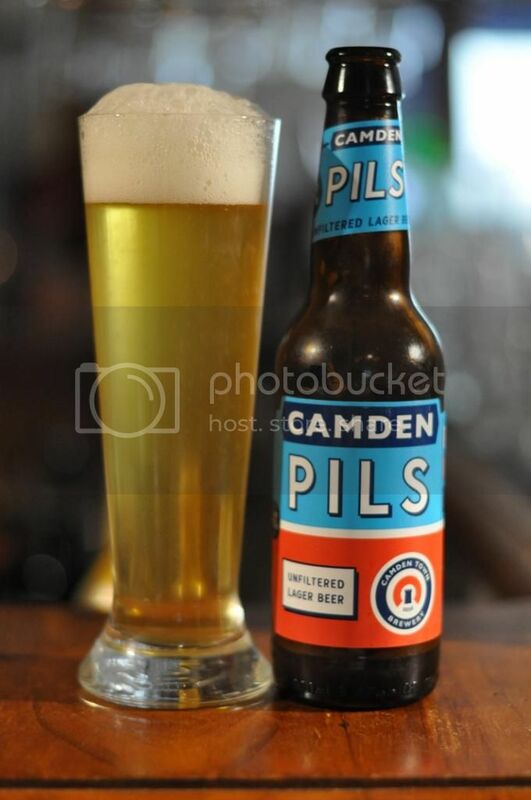 I recently found out that Camden Town, a London based brewery producing some very tasty beers, is run by a couple of Aussies! Which is pretty cool! Anyway their Pils is an unfiltered lager and comes with some pretty spiffy packaging. It had nice citrussy hops and I thought was a particularly enjoyable pilsner. God Save the Queen (Level 24) is why you're hearing about it, if you like lagers this is one I'd recommend. Happy Brew Year (2015) was brought up with not the most auspicious of beers. In fact it is probably the most recognised beer in the world - Heineken. It was all that was cold when I finished setting up our New Year's party and if I'm being honest I was a bit disappointed about that. After tasting it though, it was quite a hot Melbourne's afternoon, I was quite impressed. It's a crisp pilsner and showed why this lager has gained such traction. The honour of earning Pale as the Moon (Level 31) fell to the good guys of Melbourne's craft beer industry; Cavalier. These guys allow start-up brewers, and bigger breweries, to brew at their Derrimut facility. I struggle to believe that this is my first Cavalier Pale Ale; but that's what Untappd says... Anyway it's a Pale Ale that I've always enjoyed with heaps of fruitiness, there's also quite a bit of malt. It's a good example of an American Pale Ale. It's rare that it takes this long for a Tru Bru Bear Club beer to take this long to pop up in an Untappd Catchup. New Zealand's Renaissance Brewing's Enlightenment Series has been fantastic! The latest offering is the Mocha Milk Stout, which didn't let the standard down. Drink like a Kiwi (Level 12), for drinking beers from New Zealand, was the badge and was also not let down by the very smooth, creamy stout. It's a lovely beer! My first ever visit to The Wheaty was certainly memorable, yet there was only 1 badge earned that night; Pucker Up (Level 12). The beer was The Wheaty's own Black Lime Gose, a Gose soured with Black Limes (limes boiled in brine and then left in the sun for weeks) rather than the more traditional lactobacillus. Science aside - it was a really nice Gose with plenty of citrus and saltiness. At 40+C outside, and not alot cooler inside the pub, it was pretty close to perfect! Another badge earner from my South Australian work trip was Birbecks' The Merchant. It earned Pale as the Moon (Level 32) and was the second Pale as the Moon entry in this catchup. It was billed as an Imperial Pale Ale (7.2%), it's a style I've never been hugely fond of... This beer did little to change my mind with a really odd aftertaste bringing down what was otherwise an OK beer. This is not one I'd go out of my way to find if I was you. Hot on the heels of our first double up in this review, we have our second. Land of the Free (Level 28) was the badge. The beer was actually a sampler at Tru Bru, normally I don't check these in but I really enjoyed this beer! It was Lost Coast's 25th Anniversary beer, a Belgian Strong Dark Ale - which wasn't particularly dark... That aside it had plenty of orange and banana flavours with very little dark fruit to speak of. I'm looking forward to my full whistler of it to see what other flavours come out in a bigger glass. I had hoped to kick my boys weekend, which had a surprisingly high number of girls attending, off with a badge. The beer I had planned was Murray's Whale Ale, which I thought was a Witbier but is actually an American Pale Wheat... This was all sorted though when I got back and had the very enjoyable Wicked Elf Witbier, which has plenty of coriander for the style. It's one of the first craft witbier's I recommend to people who say they like Hoegaarden and one I highly recommend! This is another review that got far longer and took much more time than I would have hoped for. These things can't be helped though so I hoped you like the short little summations of each beer. There's nothing particularly special in any of the badge artwork, although the new "Keep your Wits about you" badge is quite cool. I'm hoping to get the first full reviews for 2015 up soon.